Our mountain guide will meet you at Stäger Sport in Mürren where you receive the technical equipment necessary. 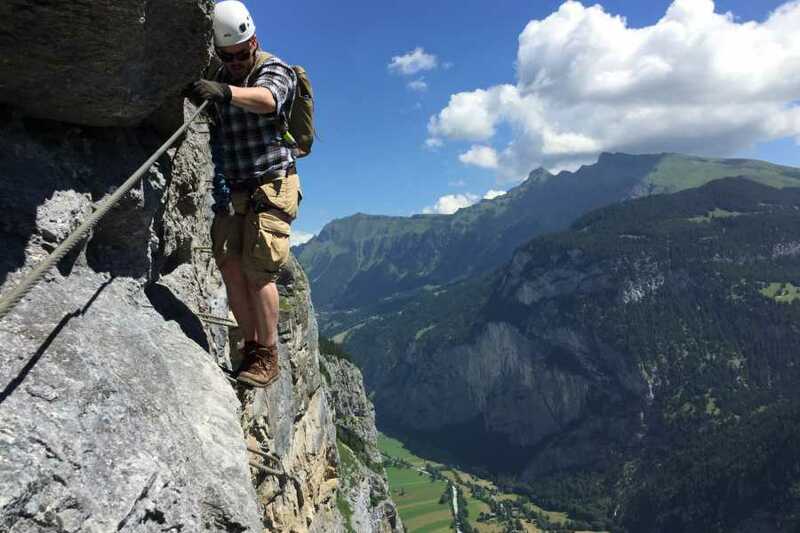 At the start of the Via Ferrata there will be some instructions on how to use the technical equipment as well as a thorough safety briefing. And off we are! The initial part is easy but soon we come up to the „Hammerecke“ (hammer corner) where we will have lots of thin air under our feet . We continue past the base jumping platform and negotiate the next part gliding along on a zip line (flying fox, Tyrolean traverse). Finally an airy suspension bridge takes us across the void of the Mürrenbach gorge - a 400m drop below our feet.... Congratulations, you did it! From Gimmelwald we take the cable car either back up to Mürren or down to Stechelberg.